By Melissa Lennig on February 9, 2017 1 Comment. This content contains affiliate links. As an Amazon Associate I earn from qualifying purchases. 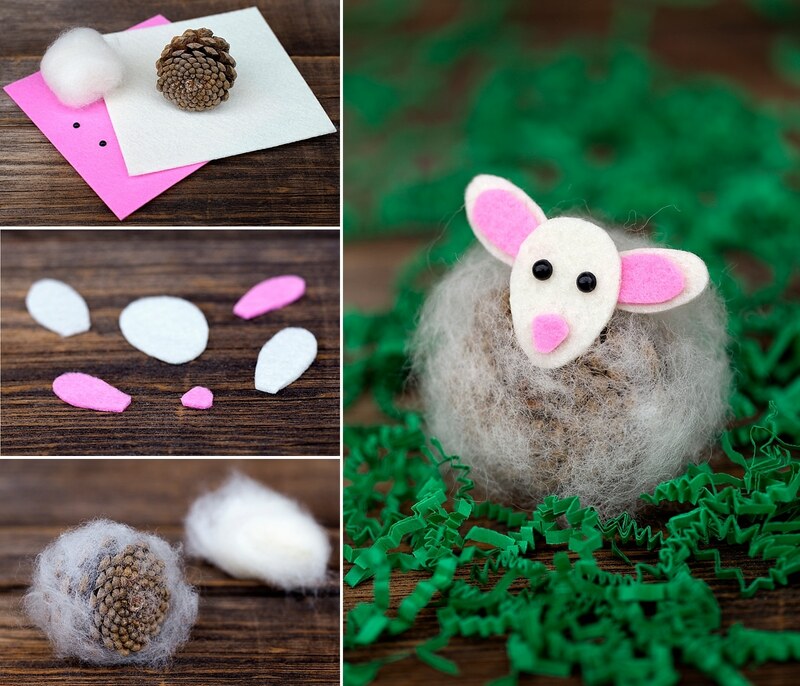 Today I’m excited to share a simple spring nature craft, Pine Cone Lambs. 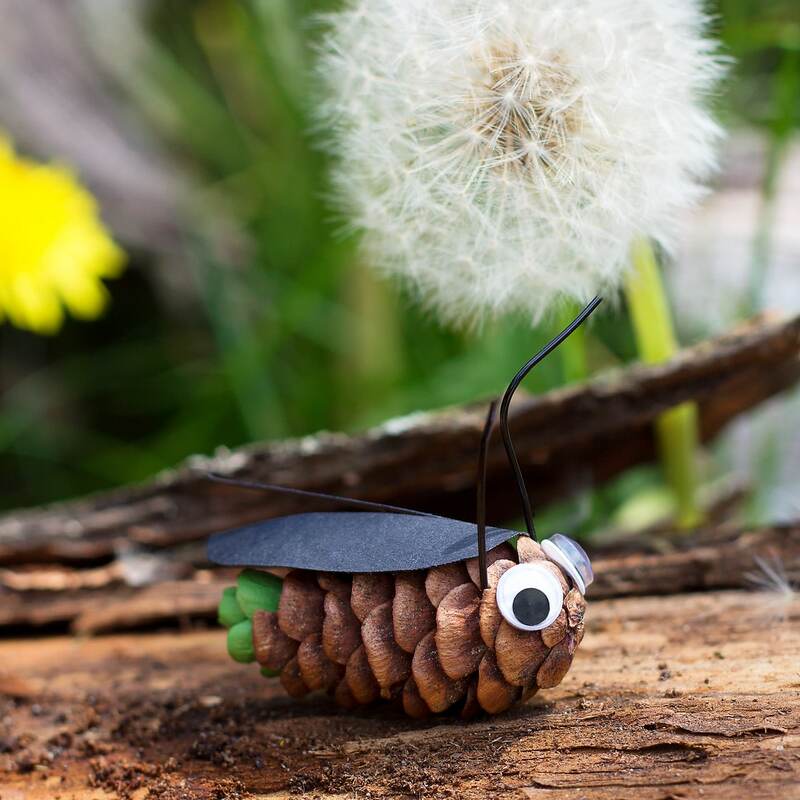 Like all the nature crafts on my blog, this craft uses natural materials my children collected from the woods and kid-friendly craft supplies. I just know you’ll love it as much as we do. 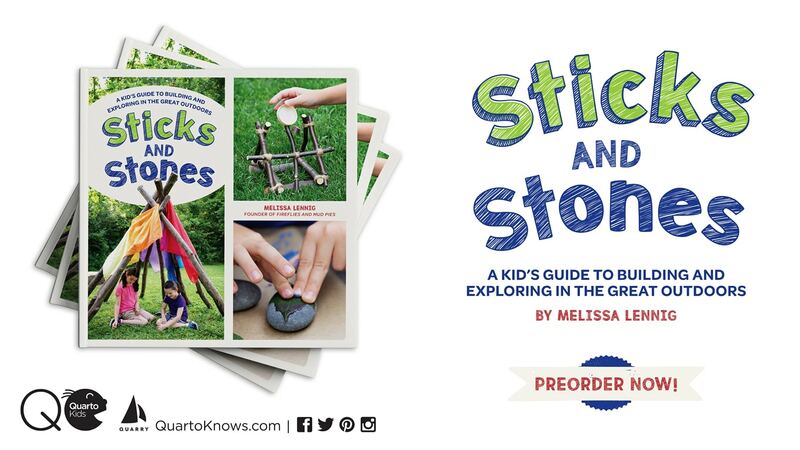 Or, is it a winter nature craft for kids? You see, Ohio is having trouble deciding which season it wants to be. We’ve gone from 30° to 60° to 30°, then right back to 60°. Crazy! Nevertheless, the spring-like weather had my boys hauling bikes, scooters, and basketballs out of the garage. While they were at it, they knocked over a bin of pine cones they had collected last fall. And when Mommy sees pinecones, she just. can’t. help. herself. Hence our nature craft. 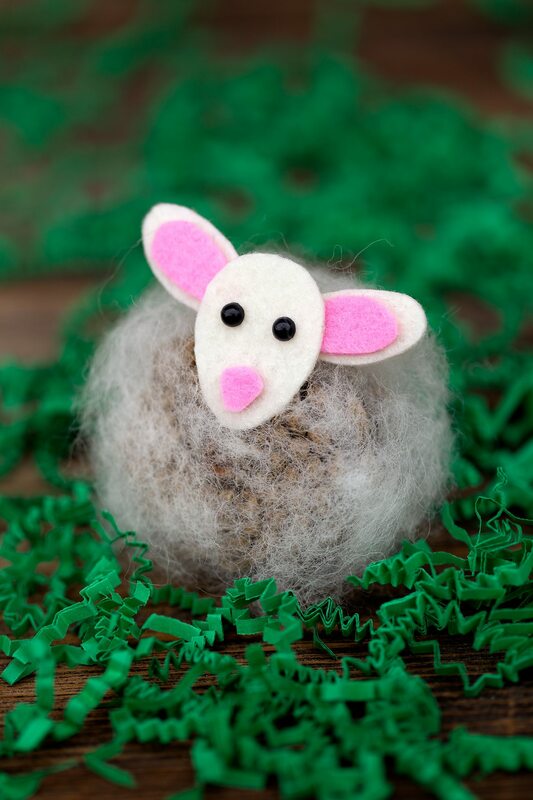 Our little lambs are a fun, creative way to anticipate and welcome spring. I just love all the textures! 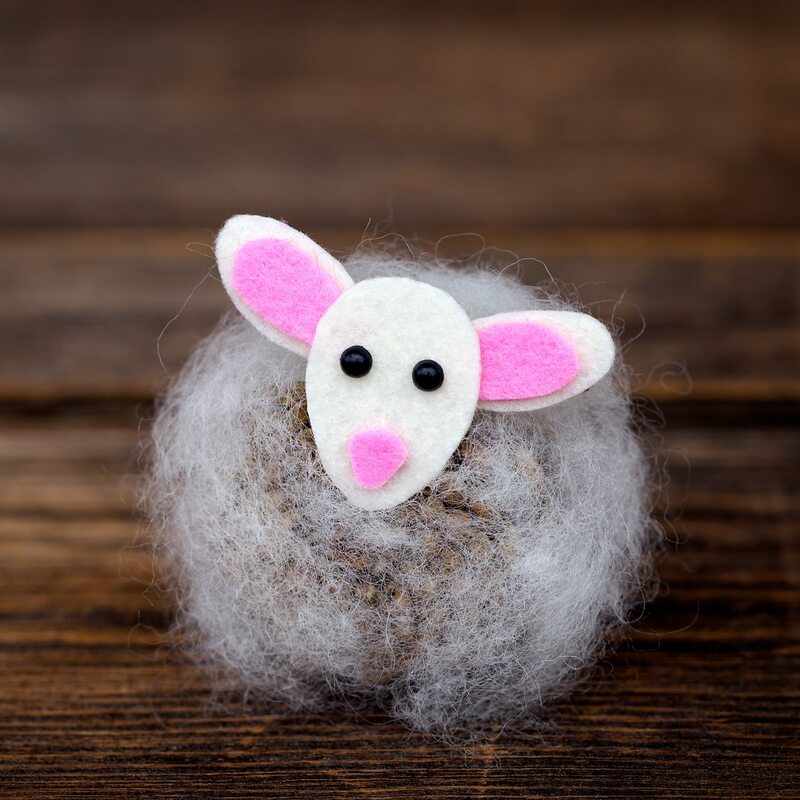 After gathering supplies, invite kids to use a pencil to draw a face, nose, and ears for the lamb. 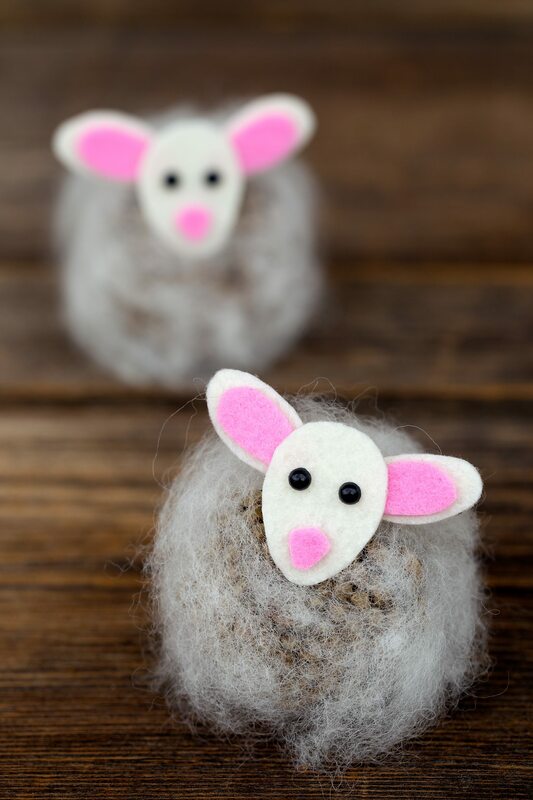 We gave our lambs pink noses, but if you wanted to, you could use black felt instead. After drawing the shape cut them out with a sharp pair of scissors. Set the shapes aside for a moment. 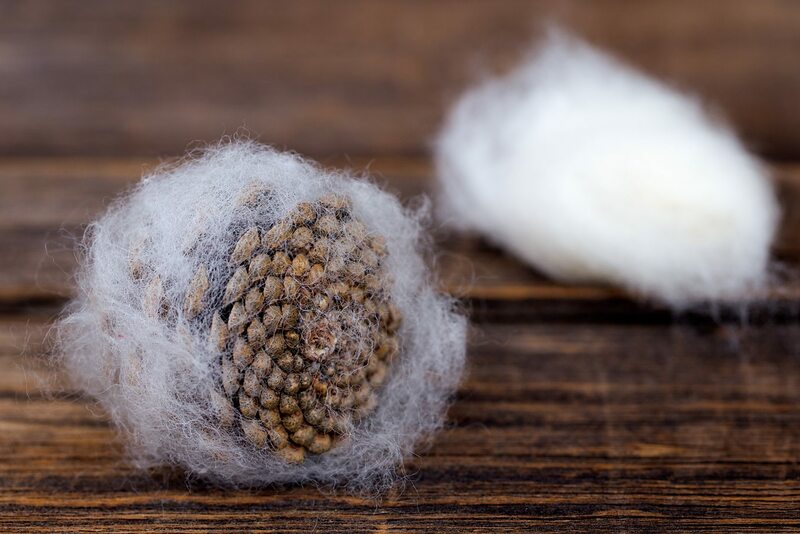 Begin wrapping small pieces of wool roving around the pine cone. We wanted our lambs to look round and fluffy, so made sure to pull the roving where it looked too thick. The roving “stuck” very well to the pine cones. 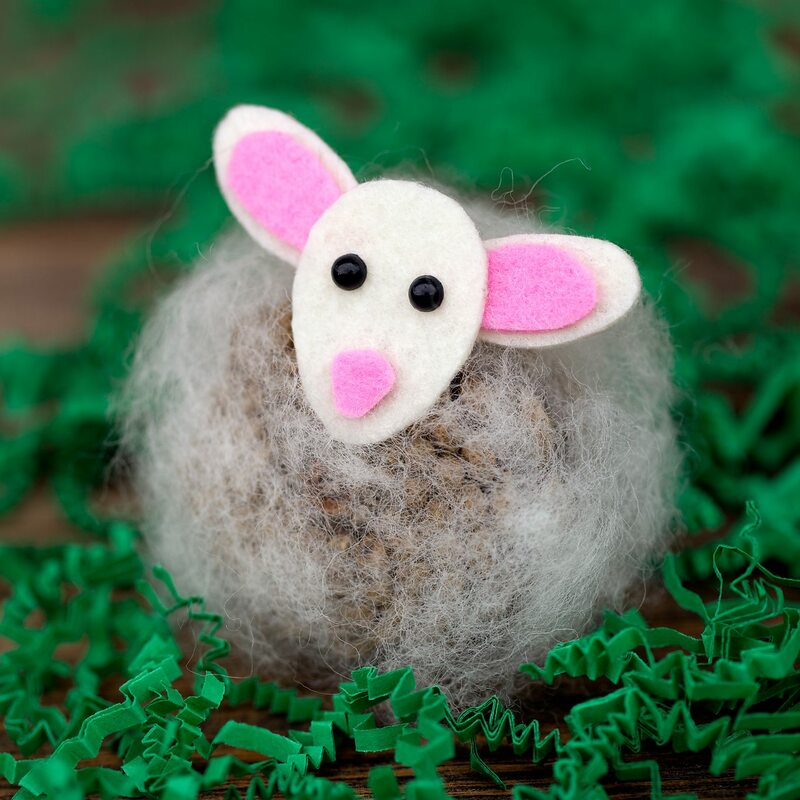 Next, use a low-temperature hot glue gun to put the lamb’s face together. 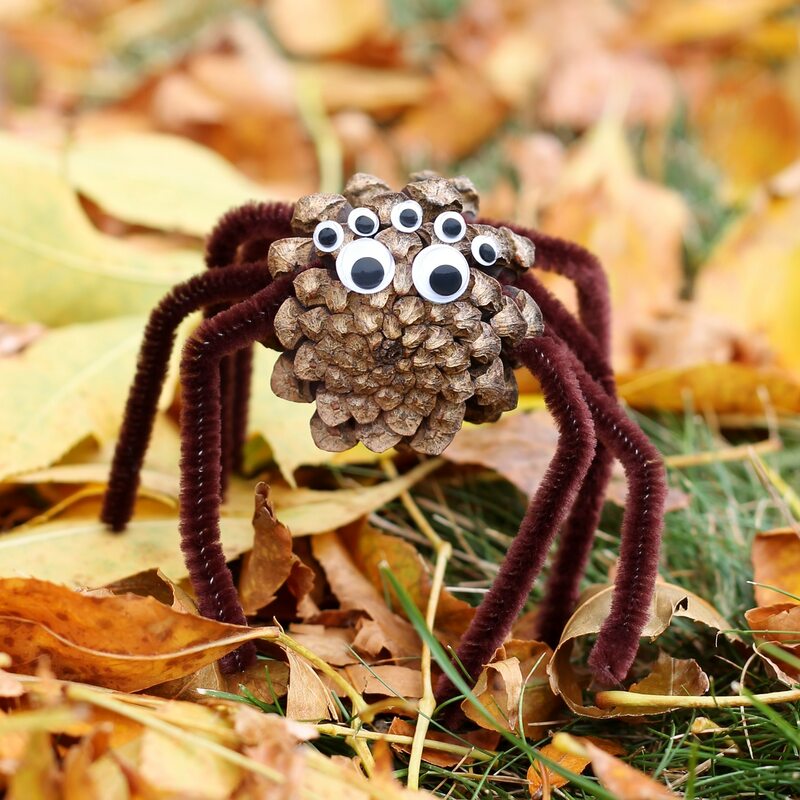 If your kids are too young to handle a hot glue gun, use tacky craft glue. 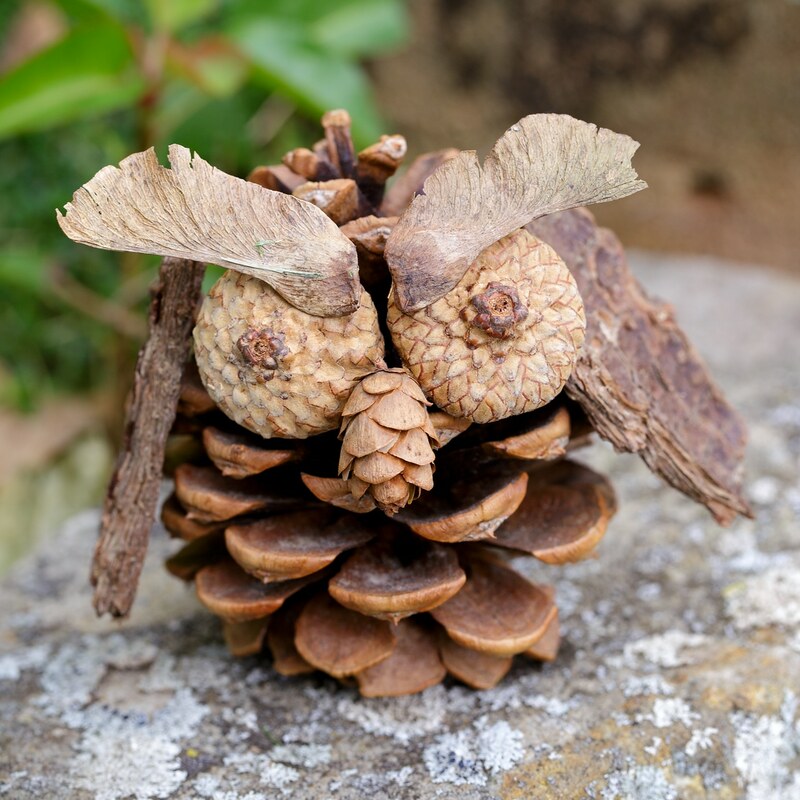 Glue the lamb’s head to the pine cone, then gently wrap extra wool roving around the front of the pine cone and in any bare spots. 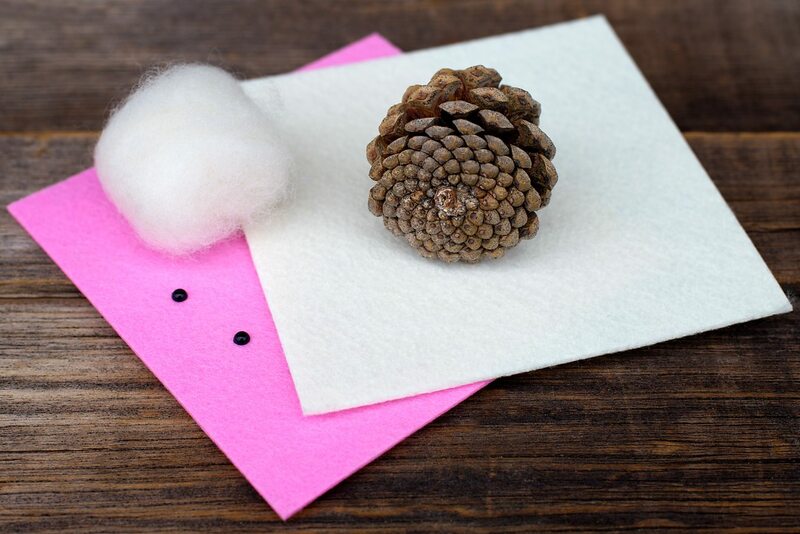 Cut a small tube shape from the cream colored felt and glue it to the back of the pine cone to make a tail. 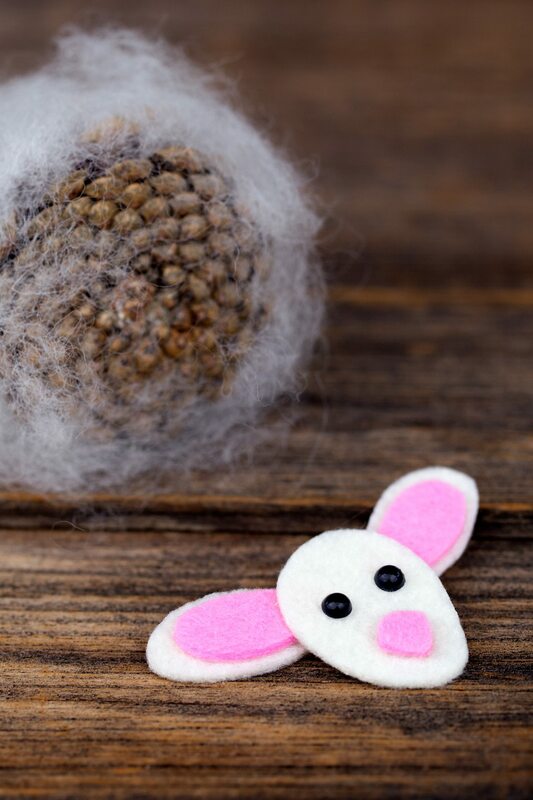 Super sweet and perfect for spring! 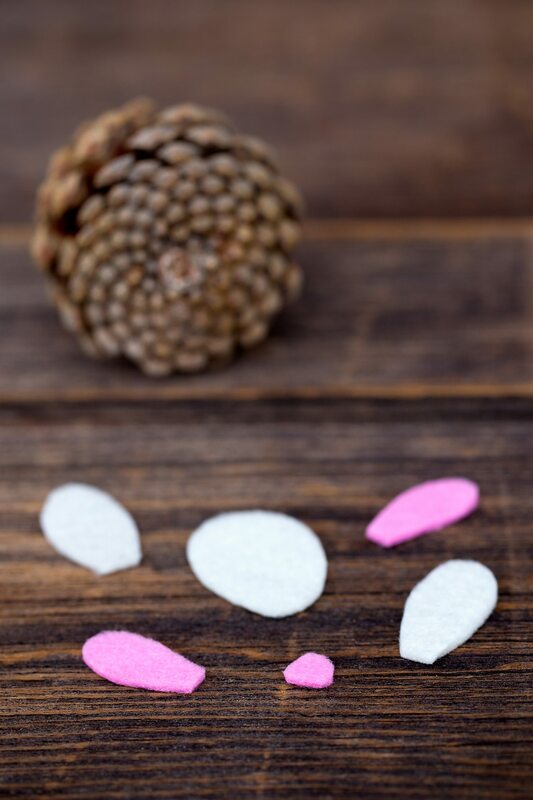 Click the images below for more easy pine cone crafts for kids!